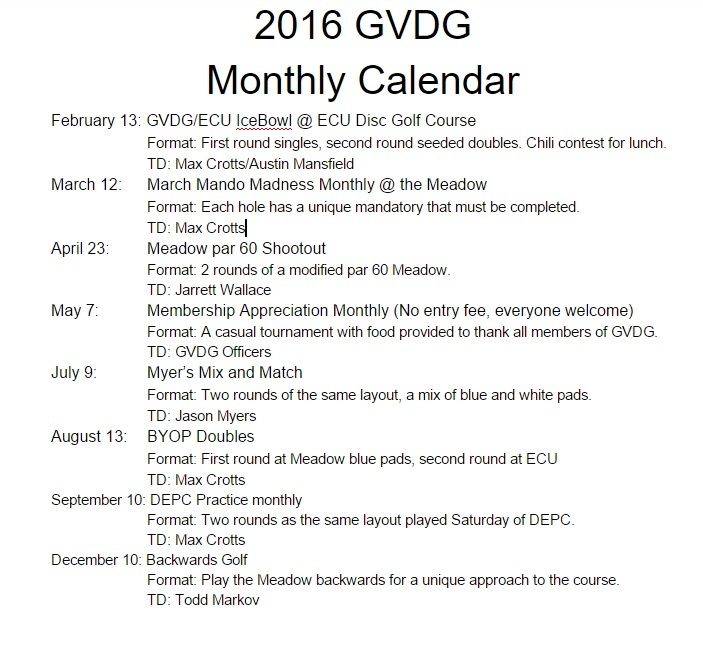 Here is the 2016 GVDG monthly calendar. We are slimming down the number of events to 8 so we can better focus on making each event unique and hopefully promote attendance. 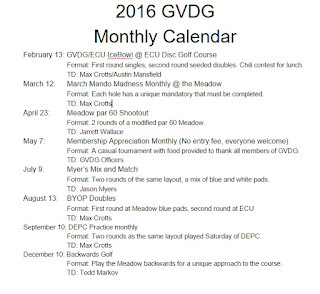 Every monthly is the second Saturday of the month except April which was moved to the 23 to be the day before the Greenville ECO. Cost and divisions offered are the same as last year: Pro $15, Advanced $10, Amateur $8, Women $8. There will not be a points race this year. Let me know if you have any questions.